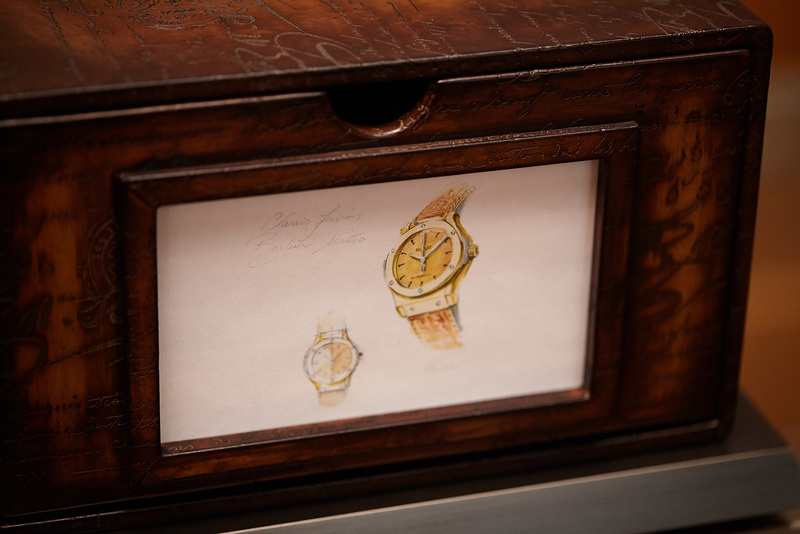 Having put denim and embroidery on the dials of its watches, Hublot has now turned to French shoemaker Berluti for its trademark Venezia leather, including the signature Berluti Scritto hide. Tanned to give it a variegated finish resembling the patina of age, Berluti’s leathers synonymous with the brand. 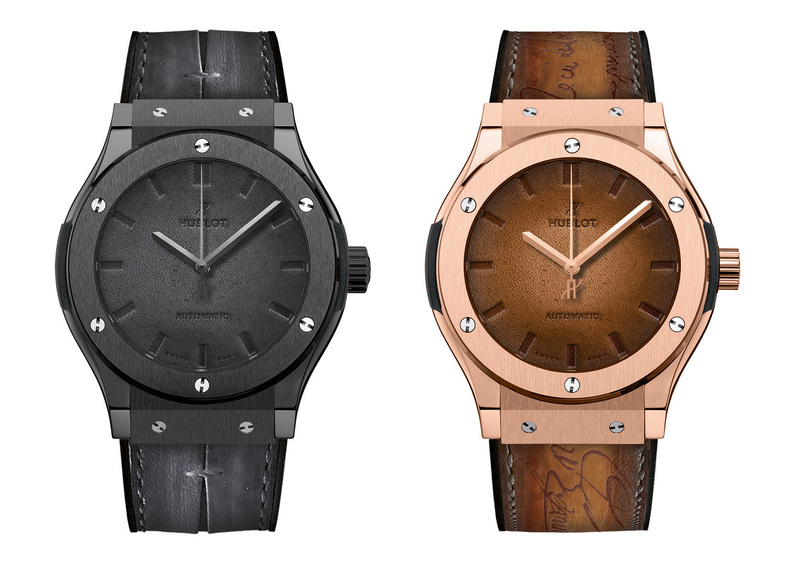 The Hublot and Berluti collaboration is available in two guises, both limited edition. The more affordable is the Classic Fusion Berluti All Black, a 500-piece limited edition in black ceramic and titanium with the dial and strap in nero grigio Venezia leather that’s a striking grey-black. The strap features the “Gaspard” slash, a fold in the leather secured by a single stitch. This is priced at SFR13,900 or S$23,400 in Singapore. The Classic Fusion Berluti Scritto combines 18k King Gold, a rose gold alloy, with Venezia Scritto leather. 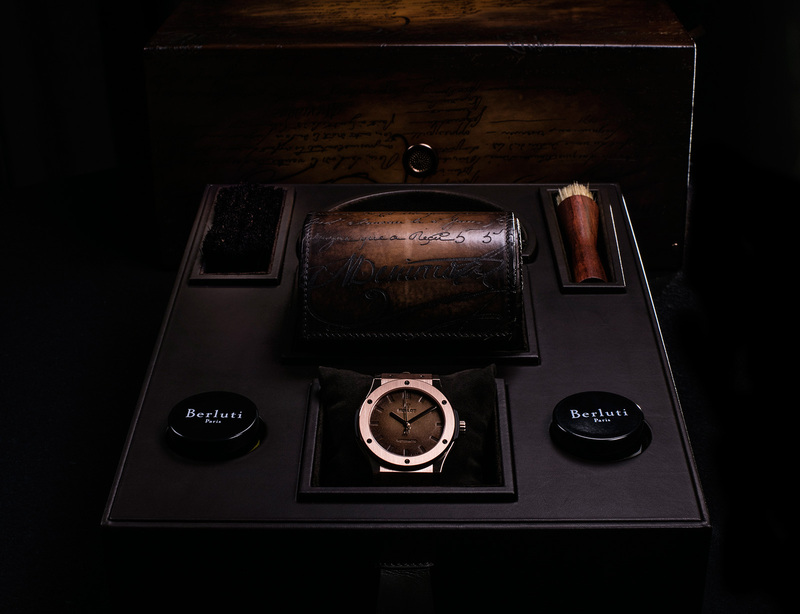 Laser engraved with calligraphy, Scritto leather is Berluti’s most recognisable material, especially in the rich golden brown tobacco bis colour found here. 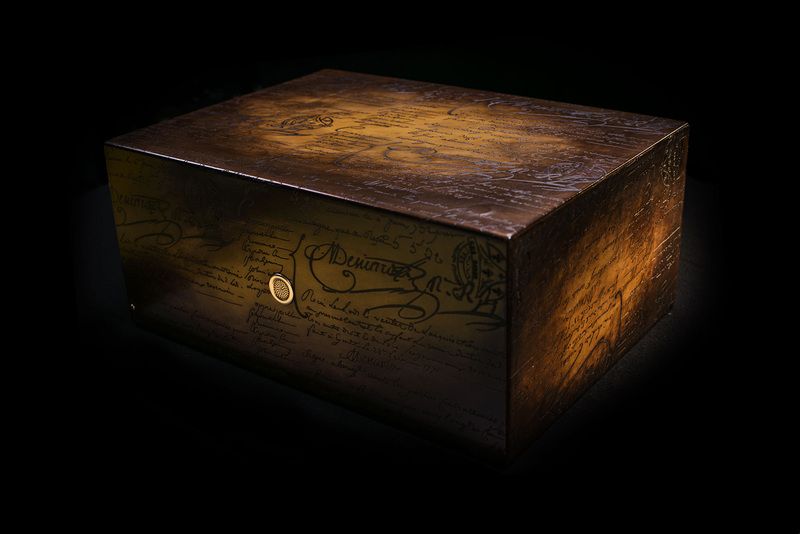 This is limited to 250 pieces, with a price of SFr27,900 or S$46,800. Both Classic Fusion Berluti watches are 41 mm in diameter, and come packaged in a large box covered in the same Berluti leather as the dial and strap. 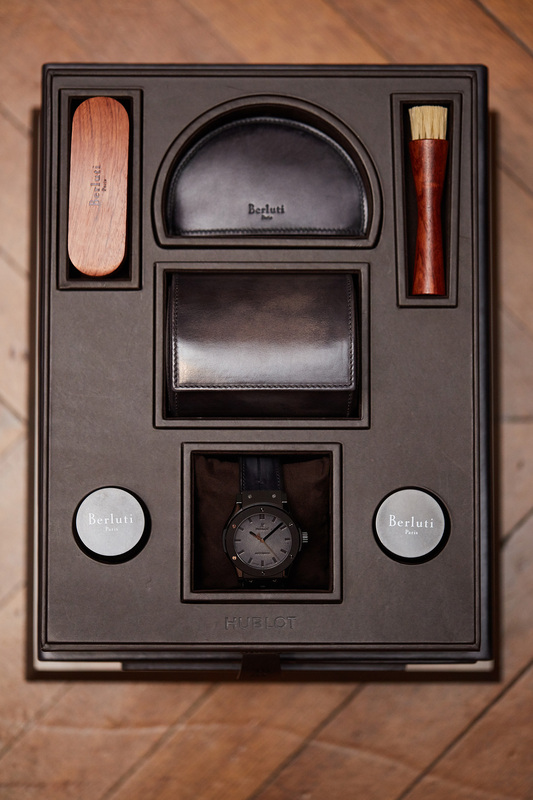 Inside is a Berluti leather watch pouch, along with various implements for polishing the leather, including wax and brushes. Update March 18, 2016: Official retail price in Swiss francs added.